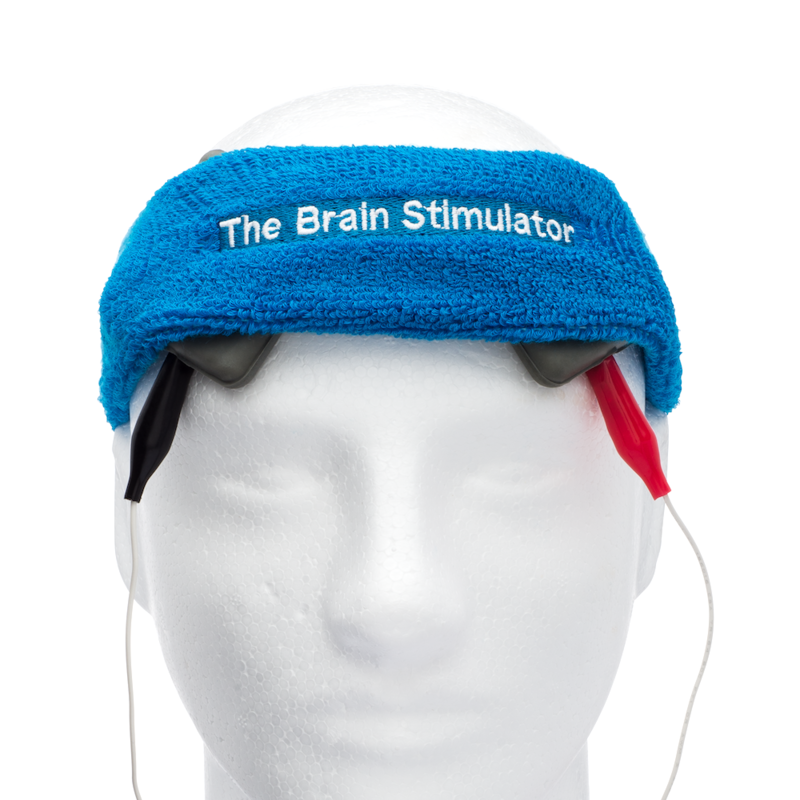 This headband assists in safely securing electrodes firmly in place, preventing undesired movement during a tDCS session. Additionally, this headband helps to wick away any excess moisture to prevent shunting (current flowing across dripping saline solution). 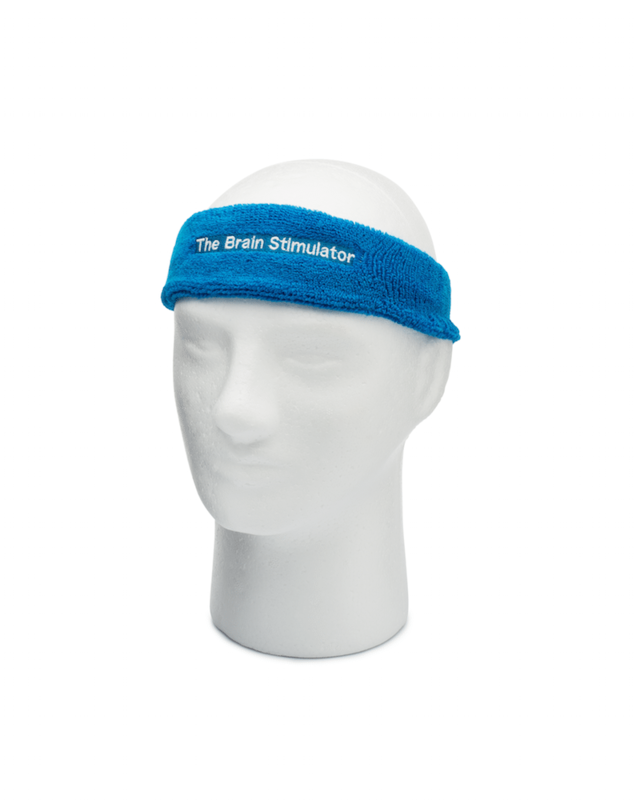 This comfortable headband helps to secure your electrodes while engaging in a tDCS session. 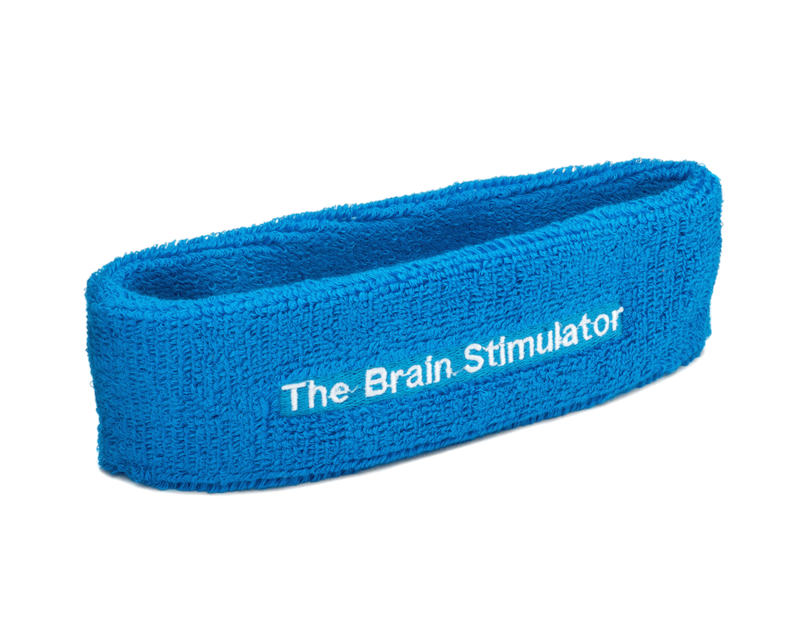 This elastic headband is easy to stretch over different areas so you can access any montage electrode placement. 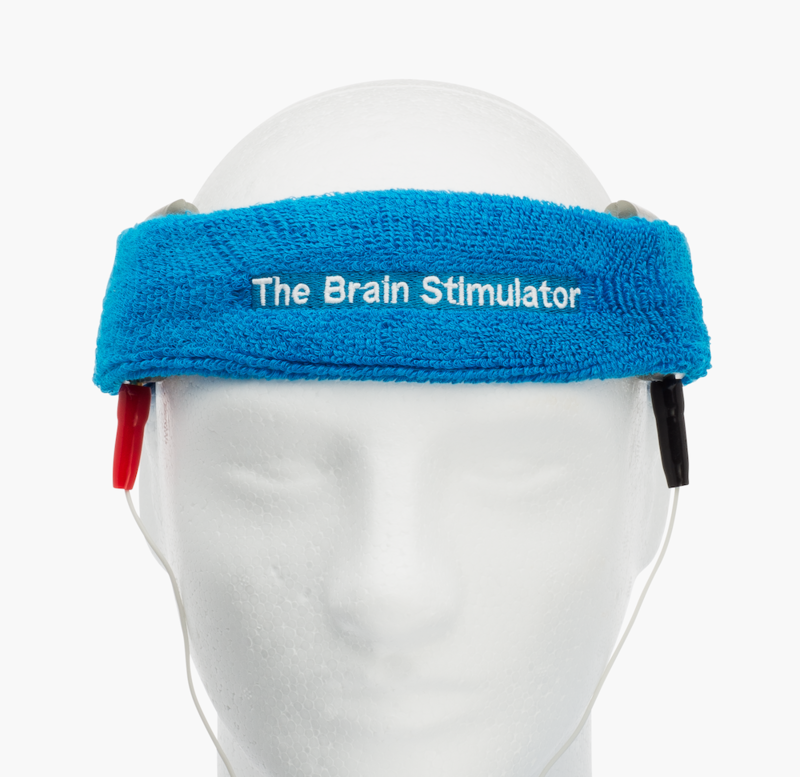 The blue color complements our tDCS devices splendidly, and with “The Brain Stimulator” text in white, you can rest assure that you’re the coolest person at the party. We love wearing these headbands out to get lunch to see how many comments we can get!